There are so many choices you need to make when planning to remodel a kitchen. After all, your new kitchen should be as functional as it is beautiful. To help you design the best kitchen for your needs, today DreamMaker Bath & Kitchen of Central Texas will discuss design ideas that will make your kitchen easier to clean. As an expert in modern and traditional kitchen renovations, we recommend using flooring that has minimal grout lines. This type of floor is quick and easy to clean with just damp mopping. Large-format glazed tiles keep scrubbing to a minimum because of fewer grout lines. You can also try using hardwood, but remember to clean spills as soon as possible to protect the floor. Sheet vinyl and linoleum are other easy-clean options. Integrated or undermount sinks allow you to wipe any countertop messes straight into the sink. If you have enough space, consider using two kitchen sinks. You can use one sink for prep and the other for cleanup. Once the meal is done, cleanup will be twice as fast because two people can work on the dishes. As an experienced kitchen remodeling contractor, we suggest that you stay away from 4-inch by 4-inch tile countertops. Laminates, quartz and stainless steel countertops are much easier to clean because they don’t have any grout to scrub. Granite is also easy to take care of but does need occasional sealing. Our Full-Service Remodeling Process Makes Things Easy for You! At DreamMaker Bath & Kitchen of Central Texas, we assist our customers through all parts of the remodeling process. We will discuss your needs and project objectives with you and help you design the perfect kitchen for your home! 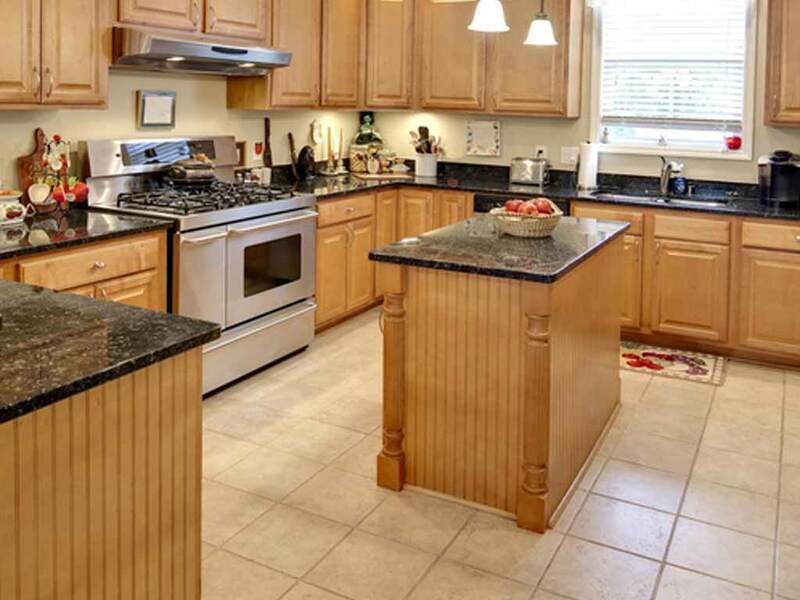 Then we will remodel your kitchen and provide you with support after the project is done. Call us at (254) 262-0087 or contact us here to learn more about our products and services.